It's another Nasi Lemak day this Sunday. 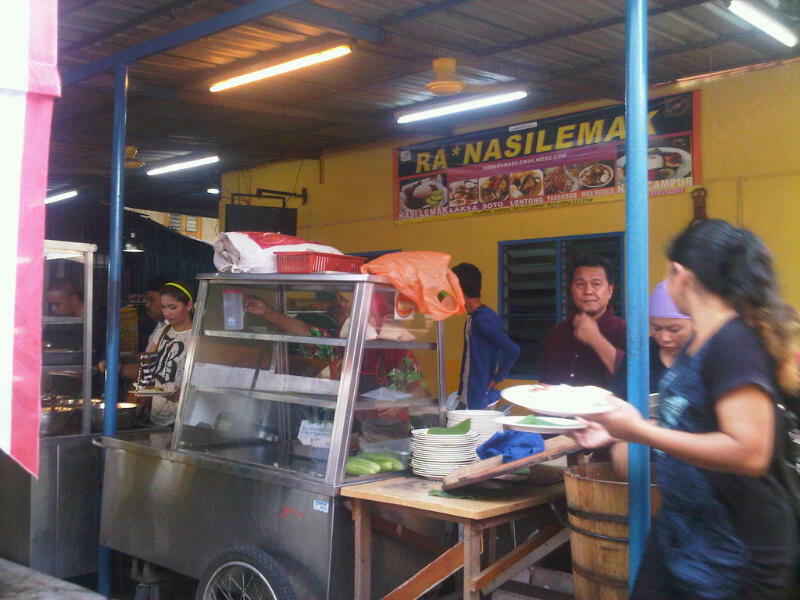 Went to Ra Nasi Lemak located along Jalan Raja Abdullah as recommended by my friends. It's very accessible. I took the LRT and stopped at the Dang Wangi station. The place is just behind the Dang Wangi station, it's the eatery area after you've crossed the bridge. Even though I arrived close to 11am, the Nasi is still hot and nice, but they didn't have any kacang left. 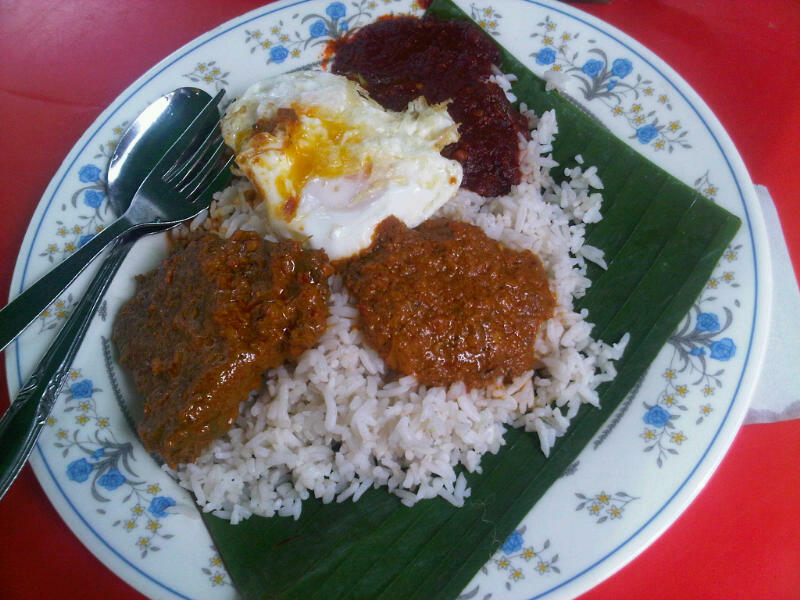 I had the nasi lemak with beef rendang and telur mata (RM5.50). INFO: 15A Jalan Raja Abdullah, Chow Kit, 50300 Kuala Lumpur.